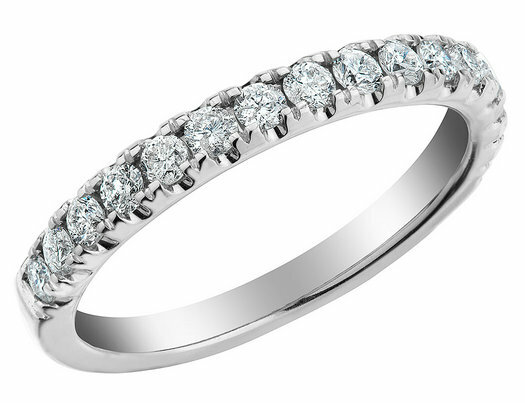 Celebrate the timeless of love with this beautiful diamond eternity band. The band is crafted from crisp 14 karat white gold and is set with a sparkling row of diamonds, for a total of 0.25 carats (ctw). Perfect for weddings, anniversaries, and other special occasions.